This Smoke Detector offers accurate smoke detection and alerts you acoustically as well as visually before a fire occurs. Become reliably informed around the clock about the dangers that arise - regardless of whether you are in the house or on vacation. A pot that is too long on the stove or a forgotten iron ... smoke first, then it will burn. In case of emergency the Smoke Detector warns by a red LED, which flashes fast as well as by a very loud alarm. In addition, you may receive a real-time message on your smartphone that alerts you even when you’re away from home. This gives you the ability to react instantly to prevent worse. 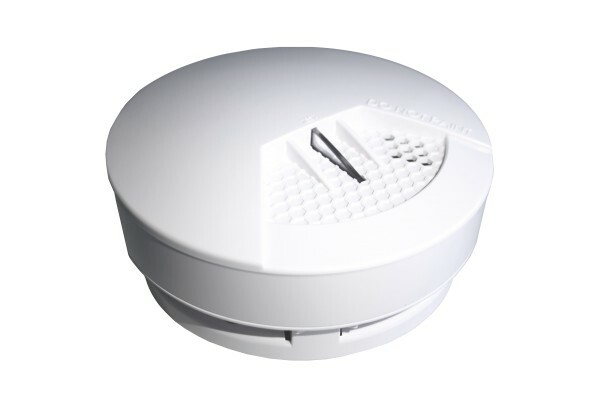 Using the Z-Wave wireless technology, the Smoke Detector has a 3-year battery life for longer life. Even if one hopes that one will never need it - in case of emergency a smoke detector can save not only one's own belongings, but also lives. This thermostat for underfloor heating offers you more comfort with less energy consumption in your own four walls: control your individual well-being temperature per room at any time. Related links to "Smoke Detector"